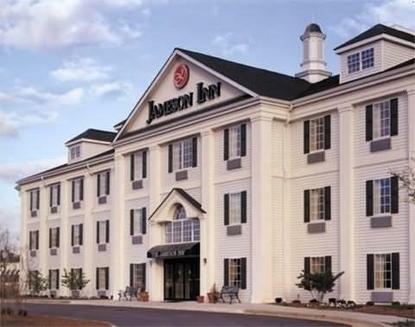 At Jameson Inn Shreveport, guests experience the conveniences of a contemporary hotel with the charm of a country inn. Along with our Legendary Service, guests also can enjoy acomplimentary breakfast with Belgian waffles, an internet computer kiosk in the lobby, complimentary weekday newspaper, an on-site fitness center, and a sparkling swimming pool. All of our spacious rooms include comfortable Dreamium pillowtop beds, work area with free wireless internet access, 25"television with cable or satellite TV and a premium movie channel, hairdryer, free local calls, and alarm clock radio. Our Premium guest rooms offer a microwave, refrigerator, and coffee maker. Whether you are visiting for leisure or business, you will have a Perfect Stay, Every Time at JamesonInn.